TherapyWorks is the premier physical, occupational, lymphedema therapy, and medical massage therapy center delivering a holistic ‘hands-on” personalized approach to anyone striving to feel their best. 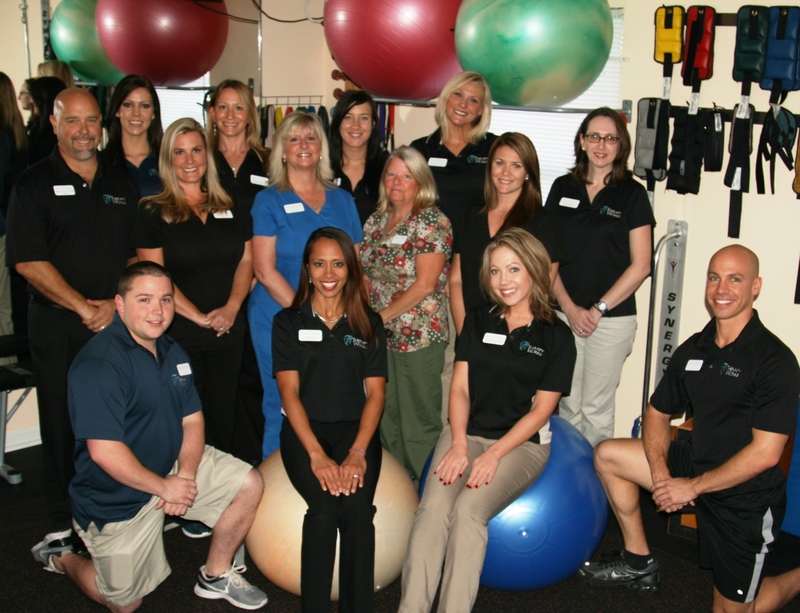 Our staff is passionate about providing you the best care possible to keep you healthy or to provide you with the proper rehabilitation for pain, injury or disease. We help people feel better. Whether you just want to stay active and healthy, seek to improve as an advanced athlete, or need help to regain your fulfilled life following injury or disease, our staff is here for you. Our ultimate goal is to provide you with proactive health care designed to prevent and treat pain, disease, and injuries of all types so you can live life to the fullest. Your health and wellness dictates the experiences and outlook you have on your life. Our staff is focused on ensuring each of our customers receives proven, natural physical treatment to ensure you enjoy maximum wellness. We promise each customer individual treatment focused on your physical wellness. Your wellness is our ultimate goal. We carefully team up with the best therapists to ensure a friendly, professional experience every time you visit us. Tommie-Lee is a graduate of Florida State University with a bachelors degree in Management. She serves as vice president of TherapyWorks of Jacksonville and handles all of the important daily functions of the office, in addition to all administrative and personnel issues. Tommie-Lee brings her great knowledge finance, billing, human resources, and organization to maintaining a consistent and productive office. Jacksonville native and mother of two, Theresa Scully has been a physical therapist since 2000, earning her degree from the University of North Florida. She proudly worked for the Jacksonville Jaguars as a Roar cheerleader from 2003-2006. As an orthopedic physical therapist, she has extensive experience in sports medicine, orthopedic injuries, post-surgical rehabilitation, low back pain, neck pain, and various other chronic pain pathologies. At the start of her career, she began researching treatment programs that were successful in treating chronic low back pain and neck pain. This research lead her to the wonderful world of Pilates! She integrated Pilates exercises in her treatment programs and was intrigued by the immediate reduction in pain and improvements in the daily functions of her patients. She became a certified Mat Pilates instructor in 2002, applying the Pilates method to most of her treatment programs. She has received Pilates apparatus training from Balanced Body University. As a part of her own fitness training she is well versed in strength training and yoga. Barbara received her BS in Nutrition and Fitness and Biology from Florida State University. She further when on and received her Doctorate of Physical Therapy from University of St. Augustine. She has been a Physical therapist for 11 years and has worked in many different settings including acute care and skilled nursing. Her background is with treating orthopaedic related injuries, but she has also worked with the aging population. She loves seeing the progress patients make during therapy and being part of the process of getting people back to playing sports related activities and resuming normal daily function. In her spare time, she loves spending time with her family and friends and traveling abroad. Dan received his Master’s of Occupational Therapy at the University of South Alabama. Since lymphedema therapy combined OT and his hobby of massage, he has been focusing on complete decongestive therapy since 2010. He has provided relief for hundreds of patients with lymphedema, lipedema, and post-surgical swelling. His Master’s in Biomedical Engineering comes into play when designing or modifying compression garments and adaptive equipment. In his spare time, Dan enjoys kayaking, massage, and working in the yard. 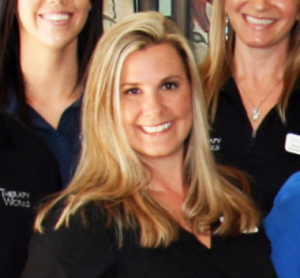 Brittany was born and raised here in Jacksonville Florida and graduated from FSCJ school of Massage Therapy in August 2018. During her time in school she studied different techniques such as, deep tissue, prenatal massage, and neuromuscular therapy techniques. Being a therapist has enriched her life because she loves to help her patients get the care they need and deserve. There is no better reward than seeing patients relieved of their pain. In her free time Brittany enjoys spending time with her family and researching different techniques to further her career. Jason has long had a passion for healthcare and started his career as a Massage Therapist in 2004 after graduating from the Florida College of Natural Health. He also holds an Associate of Arts Degree from Tallahassee Community College. Jason’s career has provided the opportunity for him to learn proven methods to aid in helping people improve their lives. 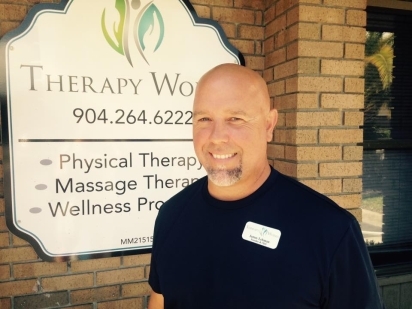 He’s worked in spas, chiropractic offices and his own private practice, which he was nominated for “Best Massage in Tallahassee” for two consecutive years. He has a perused continued education in Deep Tissue, Myofacial Massage, Orthopaedic Massage, Neuromuscular Massage, and Myoskeletal Alignment Technique. As a therapist, Jason’s goal is not only to help you feel better, but to educate you on how you can maintain a feeling well-being for the long term. Jason is a proud father of four, as well as a collegiate and pro-am volleyball player. His passion for volleyball led him to coaching indoor and beach volleyball as well. Annette was born in Johnstown PA and raised in Jacksonville Fl. She graduated from Mandarin High in 2012 and graduated from Keiser University in 2015. She was president of her Cohort at Keiser University and truly loves the opportunity to help patients recover from injuries and disease. Many times patients come in with little hope of ever getting better, so she finds it important to keep her patients motivated because keeping a positive mind aides the body in healing. She loves to spend time with family and friends, travel, and learning new recipes. Amy handles all of the complexities and challenges with submitting and posting claims on a day-to-day basis. She brings years of experience in the physical therapy billing field and keeps a good financial workflow in office place.